Homeowners insurance creates a financial shield to protect your home in the event a disaster occurs. With all the things that could possibly go wrong, having a way to protect yourself is crucial. A typical homeowners policy insures not only the home itself, but also the possessions within. Imagine if your house caught on fire, or was burglarized. Without insurance, how would you cover that loss? Homeowners insurance covers the damage to your property and your liability for injuries and property damage that you, your family members, or your property causes. This is very important, especially when some people are very quick to sue over minor injuries received. Homeowners insurance also includes any damages caused by your pets. So, if for instance, your dog bites a neighborhood child, your insurance would pay their medical expenses. While homeowners insurance covers most damages that may occur, there are some that won’t be covered in a basic policy. For example, regular homeowners insurance policies don’t protect you financially in the event of a flood or earthquake. You will need separate policies for these disasters. You need homeowners insurance for the same reason you need car insurance or health insurance: to protect yourself from hazards and liability. 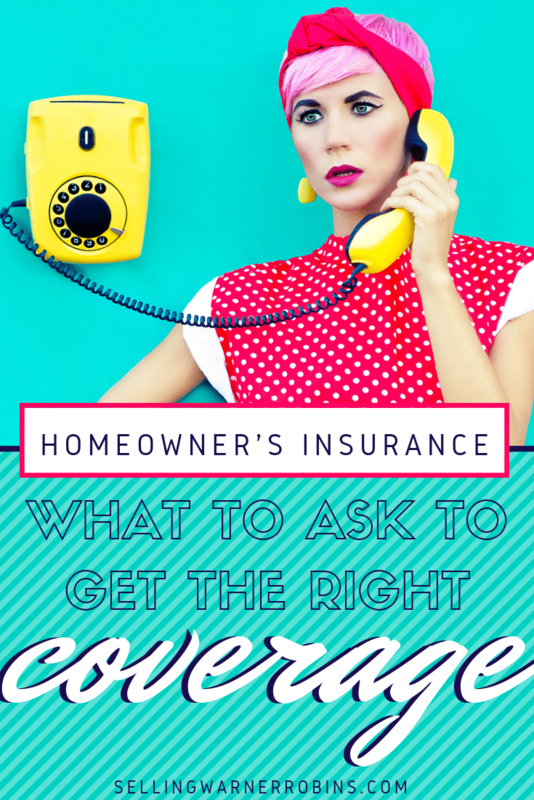 If you don’t have the coverage you need, then you will have to pay out of pocket for damages. What’s worse, if someone is hurt on your property, they could sue and end up taking quite a bit, or all of your savings to compensate their loss. Also, considering your home is one of your greatest investments, why wouldn’t you want to protect it? Another reason you need homeowners insurance is that lenders will require it. When you take out a loan to buy a house, the lender uses the house as collateral. They are protecting themselves from potential financial loss by requiring you to purchase insurance. Homeowners insurance will also cover other structures on your property. If you have a shed, a garage, or a pool house, your insurance will cover these as well. Keep in mind you should contact your agent any time you have additional structures built on your property so you can raise your coverage to cover the value of these additions. Your homeowner’s insurance covers expenses that you may incur if you can’t live in your home due to damage. This coverage will pay a reasonable expense for temporary housing. Your insurance company will figure out a daily reimbursement payment based on the amount your home is insured for and what rent would cost for a comparable living space. This coverage will also reimburse for the normal amount you typically spend on meals. There are two different types of homeowner’s protection that make up the insurance: hazard insurance and liability insurance. Hazard insurance protects from accidental damage or damages due to storms, fire, vandalism, theft, etc. It will pay either actual cash value for the damages or actual replacement value. Actual cash value means that it only pays for what the property was actually worth at the time of damage. For instance, if your home was built in 1991 and caught on fire tomorrow and sustained $75,000 in damages, the insurance company would deduct an amount, say $25,000, for depreciation of the home. They would deduct that $25,000 of depreciation from your $75,000 claim for damages and issue you a cash value payment of $50,000. On the other hand, actual replacement value will pay enough to replace or repair for damages up to your policy limit. For example, if your insurance policy coverage is for $200,000 that is the exact amount you may receive to rebuild. Two additional types of replacement value coverage are extended replacement coverage and guaranteed replacement coverage. Extended replacement coverage will pay your policy amount, as well as an additional percentage above that (usually about 20 percent) for repairs. So if your policy coverage amount is $150,000 then you would receive about $180,000 for repairs. With guaranteed replacement coverage, if your property is deemed a total or near total loss, you will receive whatever amount it costs to rebuild or restore your home. Of course, premiums will be higher for replacement coverage policies. Liability insurance covers your personal liability for accidents on your property. For example, if your neighbor’s child falls out of a tree in your yard and breaks his arm, liability insurance will cover his medical costs, up to the policy limit. Surprisingly, over 30% of liability claims are the result of dog bites. Fortunately, the cost to add additional liability insurance to your policy is relatively inexpensive, and well worth the expense, if you ever have to pay out on a claim. Collect as much information as you can about your house, including age and condition, square footage, condition of garages, decks, sheds, etc. Create a thorough inventory of your property. Make sure you note any expensive collections, artwork, jewelry, etc. Check to see if your home is in a flood plain. Find out your credit score. Chances are if you’re buying a house, you have already done this, but it is important because some insurance companies take your score into consideration when deciding what price you will pay for your policy. After you have done your research, contact an insurance agent to talk about your coverage needs. To recap, homeowners insurance is something you should purchase in order to protect yourself should damage happen to your property, or if a visitor sustains some type of injury. It makes sense to purchase insurance considering that without it, any repairs or amounts you have to pay for injuries will come from your personal assets. Though there are some types of damage that aren’t covered, such as damage due to flood or earthquakes, you can still purchase separate policies for those. 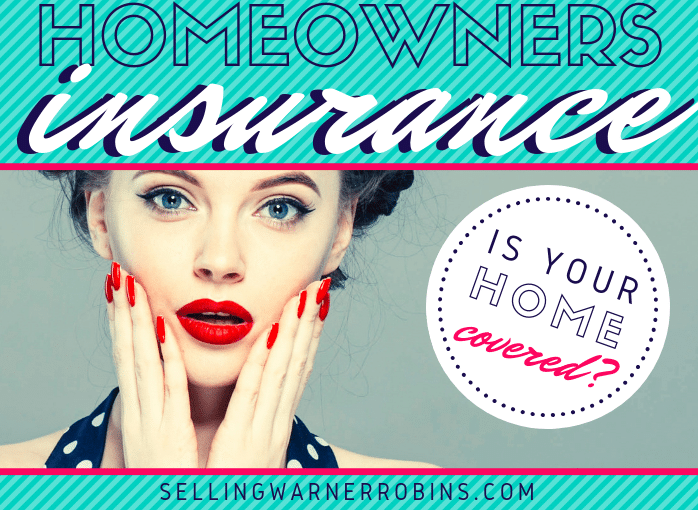 Homeowners insurance even covers the other buildings and structures on your property. 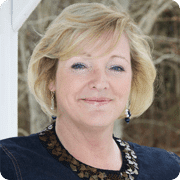 What’s more, you can be reimbursed for your living expenses should you not be able to live in your home for a while because of damages sustained. Though the process of purchasing homeowners insurance can be a somewhat difficult task, should you ever need it, you will be thankful you did. Great article Anita! The better we inform our clients, the easier it is for them to make well informed decisions. Well written! I agree Frank. The more information we provide the better informed our local real estate consumers will be. Hello Anita, Your piece on Homeowners Insurance was just what I needed to read today. Clients are looking for ways to save money and ask questions such as these. I am not always sure how to answer and your comments put the answers in layman’s terms, helping immensely. Thank you for sharing your wisdom! So glad you enjoyed it Michelle.